North London native Kelz teams up with Birmingham's lady of the moment, Lady Leshurr, to present his latest single 'Zeus'. The familiar tale of the Major Label vs the Independent artist rears its ugly head in the latest argument between Shystie and Interscope Records. Authentiq was born and raised in London and in 2008 signed to Titans' Music; a UK based record label and part of Titans' Entertainment. He now releases his latest single 'Chasing Paper' which will be featured on Authentiq's upcoming 2013 mixtape 'Enrolment'. You may have seen him in the film Offender, but this man is not offending me with his latest video. Scorcher drops the official video for his collaboration with UK Rap's "hot boy" Fekky... Taken from Scorcher's latest mixtape offering (Simply The Best 3) One Time showcases two of the finest talents the UK currently has to offer. Supatrax catch up with BowTye the rapper /producer from the Baltimore USA laying things down and looking to go cross Atlantic with his dope music produced in Columbia USA. 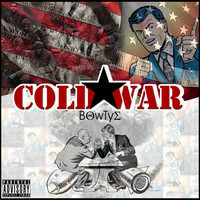 As he launches the new album 'Cold War' Supatrax get an insight and up close and personal. 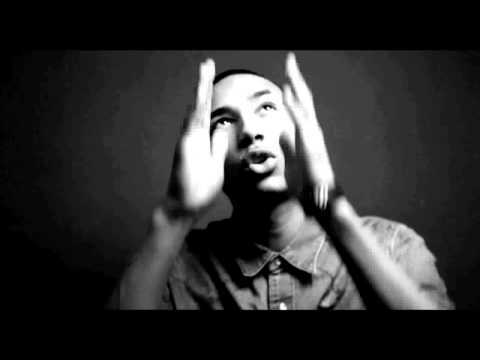 Kwamz is a young London talented rapper who is ready to drop his debut single 'Thief In The Night' on the 4th March. This upbeat and mood-lifting track is co-written by Kwamz with production by Jay Reynolds (produced for L Marshall, Elton John, Kylie Minogue, Pixie Lott, Just Jack) and Delerious (production for Cleo Sol, Stylo G, Chip, Taylor Jones & Marvell). His not from Philli, but Philli G can hold his own with those from Philli, Miami, London and anywhere else you can think of! Born and breed in Birmingham UK, Philli G, born as Phillip Gregory, is a renowned DJ who has won numerous awards for everything from Slow Jams to Dub Step. Supatrax catch up with him as he enters his latest music project with Birmingham's infamous MC Brasko. Thai, is a rapper from Birmingham dropping something different to the rest of the new emerging central city talent. Wikipedia says 'Thai cooking places emphasis on lightly prepared dishes with strong aromatic components' this would best describe Thai's debut mixtape 'Frontcovers and Centrefolds'. Stemming from the Midlands is a 'Dangerous' talent named Lornette. After serving her apprenticeship the old fashioned way, playing club gigs all over the UK, the highly regarded songstress Lornette has gone on to support worldwide accomplished artistes such as 50 Cent, Akon , The Marleys to name but a few in both concert halls and live stadium festivals throughout Europe and the USA. One of the most talented underground musicians in Toronto, Junia-T, is hitting the mainstream with a soul provoking new single You & I featuring Slakah The Beatchild. Amir Khan . . . Did you really bang thou??? ?